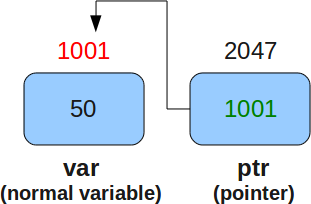 A Pointer in C language is a variable which holds the address of another variable of same data type.Pointers are used to access memory and manipulate the address.Pointers are one of the most distinct and exciting features of C language. It provides power and flexibility to the language. Although pointers may appear a little confusing and complicated in the beginning, but trust me, once you understand the concept, you will be able to do so much more with C language.